Prepare for camping! Get your gear and food loaded, pack up and let's go. You have heard that being prepared is the first step to being there. So here you are packing for a camping trip that will last for a week. Look at all this stuff you have in your backpack, your trunk, or maybe your motorcycle. Where's the food going to go? Is there enough to last? Do you have all the utensils to prepare it? Let's say you are taking along enough food for 4 people. Make a list of what you are going to eat and when. How much room will all this take up in your limited space? Starting with the basics of a day, you will want to have some coffee. Keep in your backpack packets of single serving fresh coffee. This is a great way to keep a supply without it going bad before you use it up. It can stay packed and will last for several months once opened. Keeping it in an air tight container or zip lock bags will keep it tasty every time you make it. What an idea!! Now if you are looking to camp like the Boy Scouts or even the Military, you will need to purchase some MRE's. They can be purchased at any Army Surplus Store, or even online. They are always prepared for camping or emergencies. What is an MRE you say? Well, that is just a meal ready to eat. You can store these for years to come and always have a meal ready when you get hungry. They generally last 4 to 6 years on the shelf. A main course entre, like meatloaf, chicken & noodles, Turkey Tetrazini, Veggie Burger, Clam Chowder, Egg Omlette, Western Beans etc. There are many different MRE's you can keep on hand. Just browse through them and get your bags full before your next camping trip. 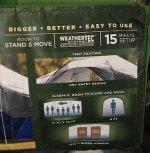 You will be glad you did prepare for camping! Keep in mind, these food packets are not gourmet foods. They will be dry and not as seasoned as you will like, but they will keep you fed for a few days. 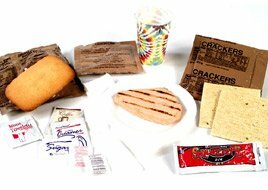 These meals ready to eat (MRE's) can be kept at home for all kinds of emergencies. You never know when the electricity or some kind of catastrophe will happen and you will need them. If you have a storm shelter, this type of food is what you need to keep in there along with bottled water. The military uses these out in the field and when away from the chow hall. If you go in your camper, you will have plenty of room to stock your shelves. You will not need MRE's or compact camping food. You will have plenty of shelves and even a refrigerator to store food in. Be sure to keep your food rotated so you won't end up using expired foods. You can also stock more in a camper than in a backpack, trunk or saddlebags. Prepare for camping according to the situation. RVs and campers can store plenty for long term camping, but if you plan on a motorcycle trip or just a tent camping trip in your car or pickup, your space is limited as to how much you can actually pack. Think ahead, plan carefully and remember to be safe no matter what you go in or how long you stay. 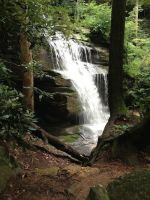 Prepare for camping thoughtfully and you will be ready for anything.